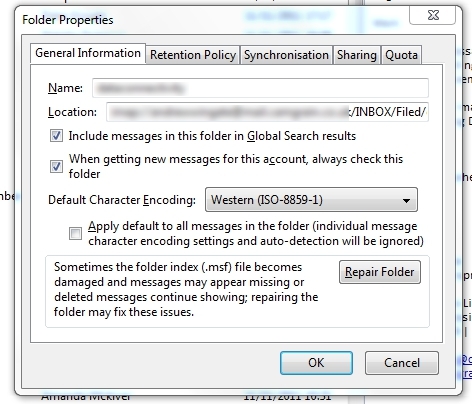 Using Thunderbird on more than one machine can lead to messages missing from the index and reducing the usefulness of the global search. 1. Right click and open properties for the folder you want to fix, and click repair folder. This will also download the mail again from the server.